Check out Tobi's So Ready Skinny Belt Put the finishing touch to your casual outfits with the So Ready Navy Skinny Belt. 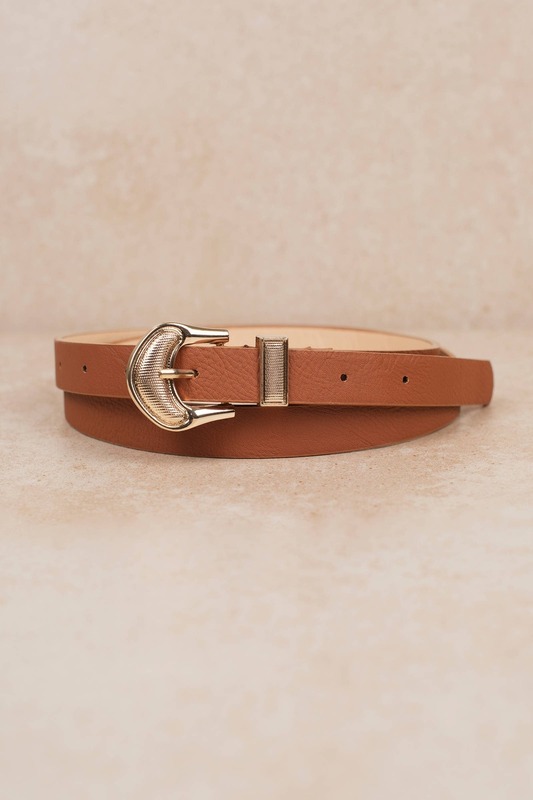 This faux leather skinny belt feature faux leather with a gold buckle and ten hole adjustments. Perfect for cinching dresses or adding a touch of class to any outfit. Put the finishing touch to your casual outfits with the So Ready Khaki Skinny Belt. This faux leather skinny belt feature faux leather with a gold buckle and ten hole adjustments. Perfect for cinching dresses or adding a touch of class to any outfit. 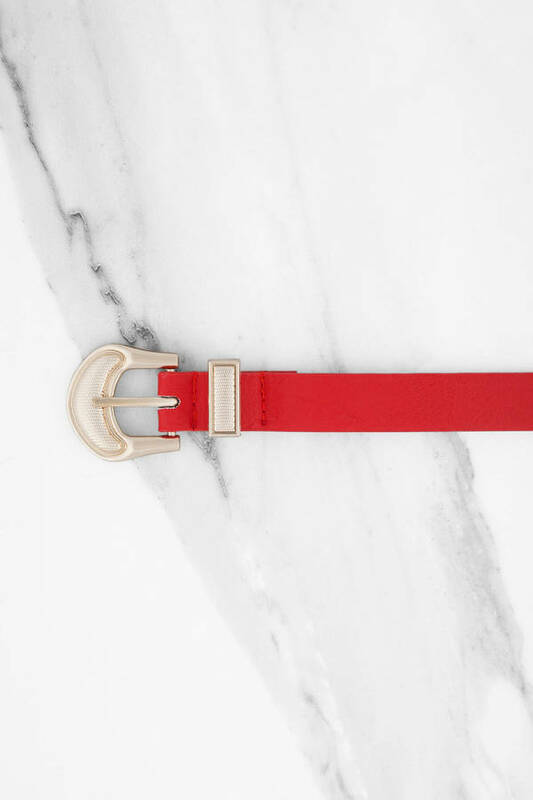 Put the finishing touch to your casual outfits with the So Ready Red Skinny Belt. 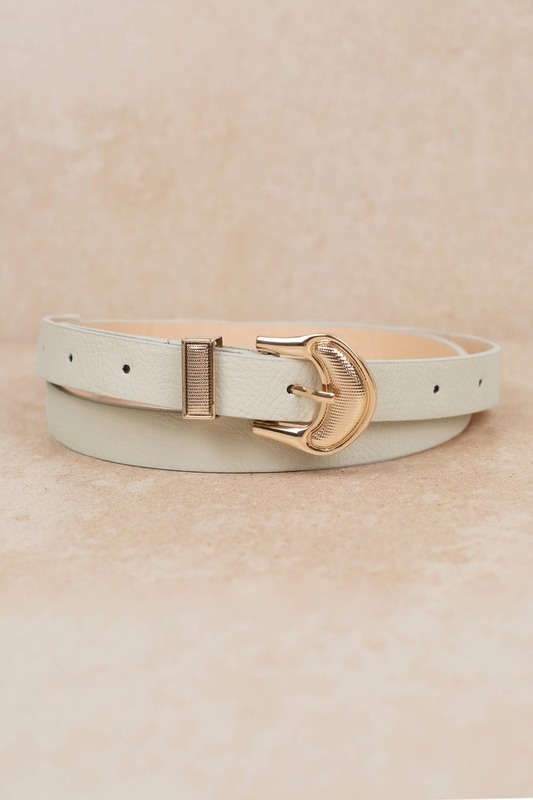 This faux leather skinny belt feature faux leather with a gold buckle and ten hole adjustments. Perfect for cinching dresses or adding a touch of class to any outfit. Put the finishing touch to your casual outfits with the So Ready Navy Skinny Belt. 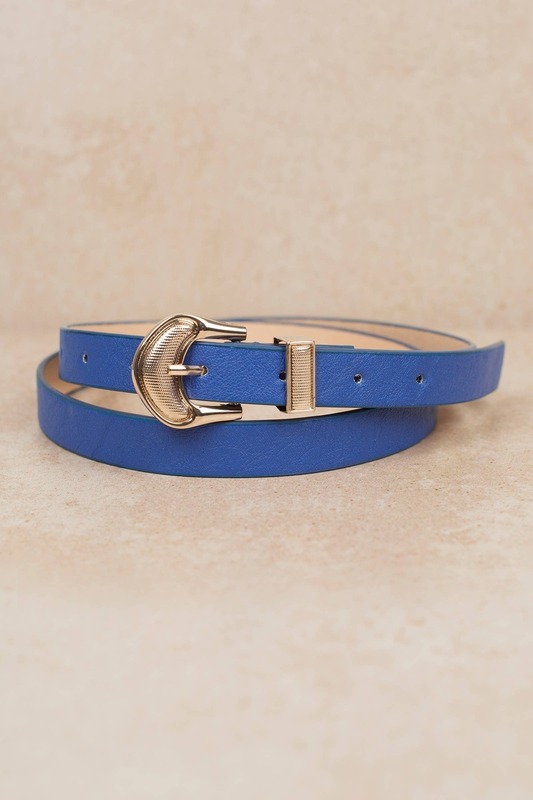 This faux leather skinny belt feature faux leather with a gold buckle and ten hole adjustments. Perfect for cinching dresses or adding a touch of class to any outfit. 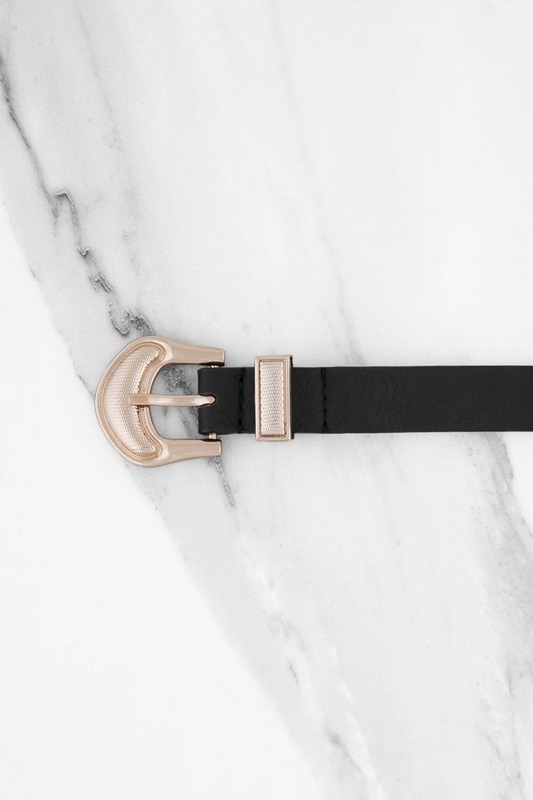 Put the finishing touch to your casual outfits with the So Ready Black Skinny Belt. This faux leather skinny belt feature faux leather with a gold buckle and ten hole adjustments. Perfect for cinching dresses or adding a touch of class to any outfit. Put the finishing touch to your casual outfits with the So Ready Brown Skinny Belt. 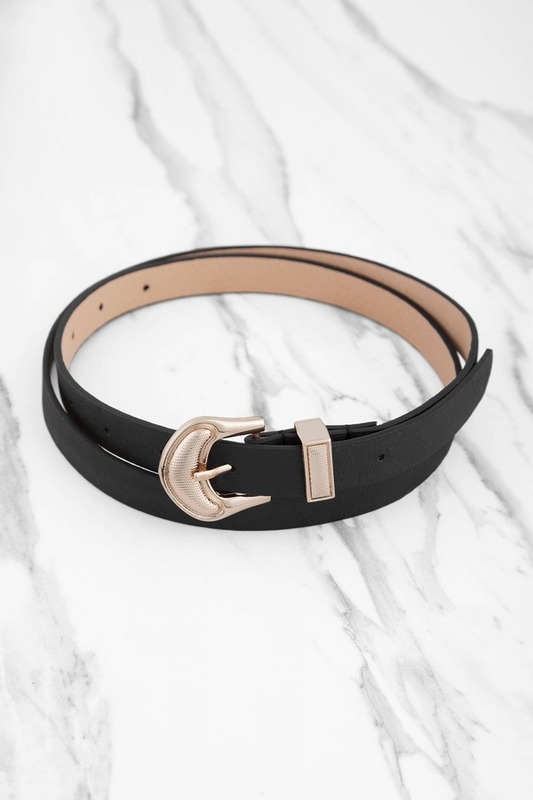 This faux leather skinny belt feature faux leather with a gold buckle and ten hole adjustments. Perfect for cinching dresses or adding a touch of class to any outfit.